To get you into that Christmas Spirit there’s always lots to do but this close to the day itself it’s always great to spread a little cheer through music. These are some apps for iOS and Android which would work perfectly for signing in the festivities. For those who might not get snow normally but wish to see the wintery blizzards associated with Christmas. A virtual Snowglobe is the perfect solution to get that winter wonderland feel, take the weather with you. There’s a few different Snowglobe apps for iOS, all able to customise snowglobe and background. To discover more click on the link below. This app allows for different backgrounds and snowglobe types/images. To watch the snow go simply shake your phone. On the 9th day of Christmas technology gave to me christmas live wallpaper app for freee! Bored of the same static image used for your phone or tablet background? want a more festive feel with a modern look? then the live christmas wallpapers available for both iOS & Android are perfect. 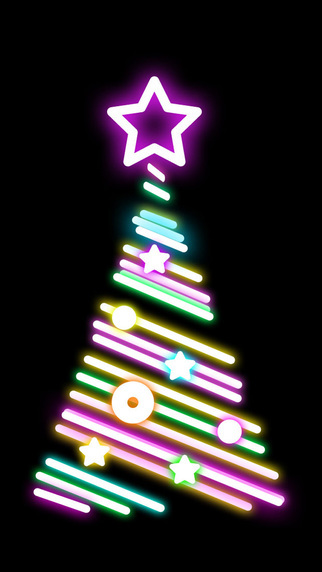 Put a twinkling Christmas tree made of lights onto your screen to set the festive spirit. Christmas Live wallpaper, watch as Santa rides his sleigh across your screen. On the 8th day of Christmas technology gave to me elf yourself app for freeeeee! This can bring festive fun to the whole family or office. Great to have a laugh and lighten the dark winter days. You can use pictures of yourself, friends, family and work colleagues to create a personalised dancing elf experience. See yourselves as elves dancing a Christmas jig. On the 7th day of Christmas technology gave to me Secret Santa app for freeeeee! Festive fun at work, last minute Secret Santa? Chaos in how to choose your secret Santa, no paper or a hat? Then this app will help with all that hassle at a tap of a screen.